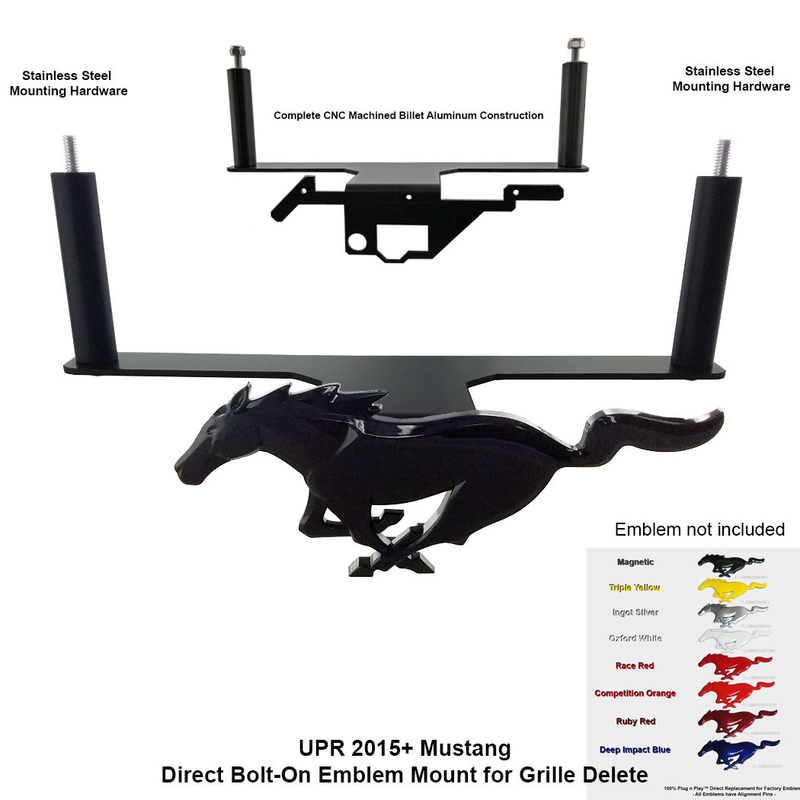 Fill the void your grille delete left with a Pony or GT Grille Emblem Mounting Bracket from UPR. These bolt in mounting brackets are available for the Pony or GT factory grille emblem and feature all aluminum lightweight construction. Available in a variety of colors or just the bracket by itself. Installs in approximately 10 minutes.